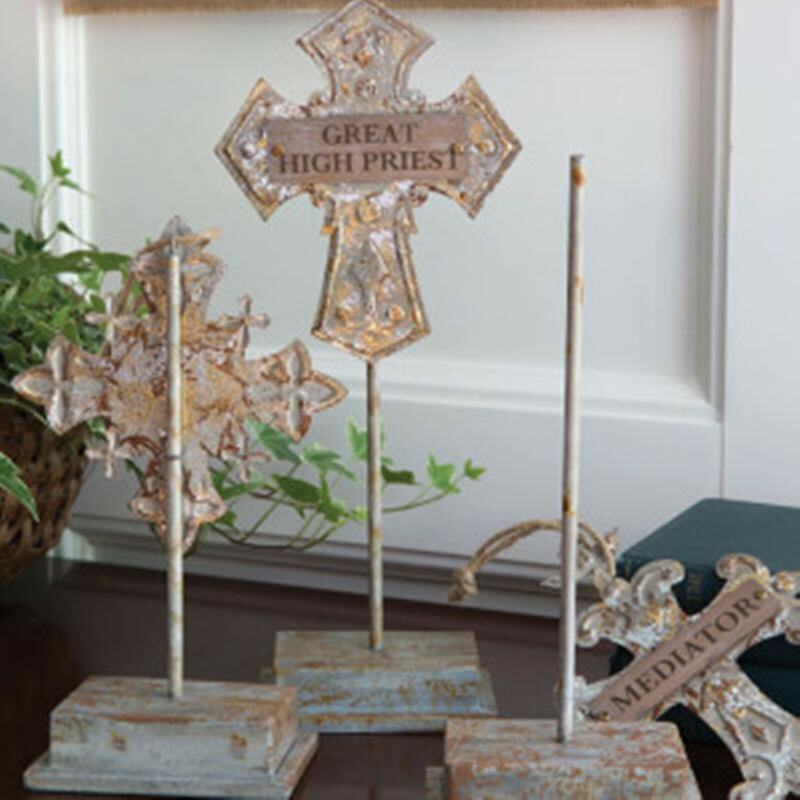 His Savior Names on a stand for displaying Savior Name crosses at Easter or all year long. Set includes Lamb of God, Mediator and Great High Priest. Place on dining table or side table for Easter or all year long.